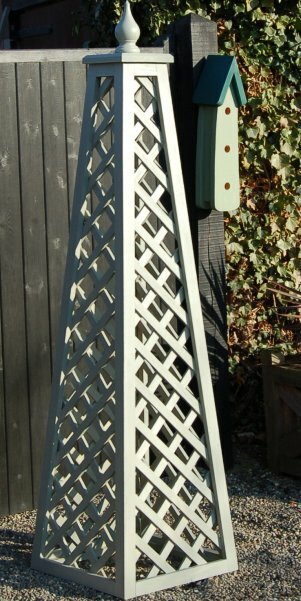 Add dramatic support to your climbing garden plants with the Chelsea Wooden Garden Obelisk. 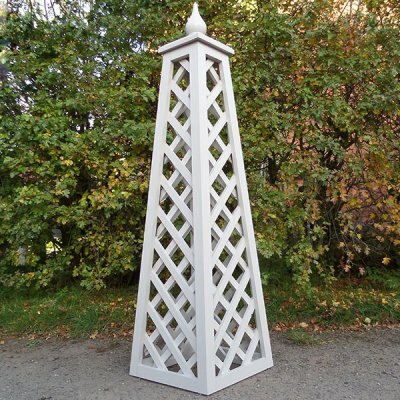 The trellis-sided wooden obelisk design makes a perfect climbing plant support for plants such as clematis and sweet peas, or for your runner beans in a formal vegetable garden. 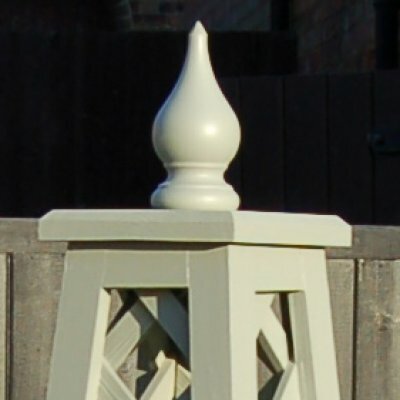 Their their sculptural qualities mean they can act as striking garden feature all year round. 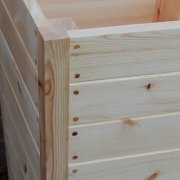 They add height to your garden and look beautiful when covered with your blossoms or sparkling with frost in the winter. 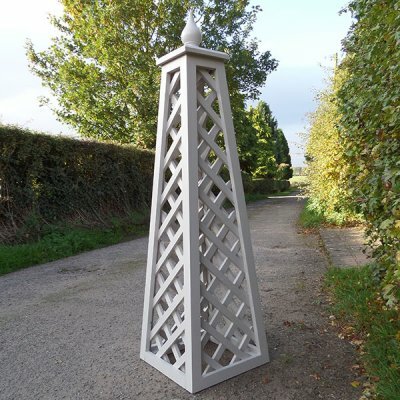 We also supply all our garden obelisks with eyelets and spikes to secure them to the ground. You can only use these if you are positioning the Obelisks on soil or grass. The standard finish is clear or Golden Brown preservative and we also offer Farrow and Ball exterior paint as a finish too. The Chelsea Petite it is the same construction as our Chelsea Garden Obelisk, but as the name implies, is smaller, but we think it is equally as attractive and well suited as an addition for a garden planter as well as being a lovely addition to any flower bed as a plant support. cooked. Pick some of the bean pods in autumn, once they have dried, for growing up your obelisk the following year. Scarlet Runner Bean is another type of bean vine that is an attractive garden plant and when dressing a garden obelisk will produce a profusion of pretty red and white flowers amongst a covering of rich green leaves. As the flowers wilt and fade, green bean pods emerge to add a more subtle dressing to your obelisk. Pick the beans when they are young and tender. When steamed they will add a fresh flavour to your meals.